We’ve had an exciting summer at LRRD. 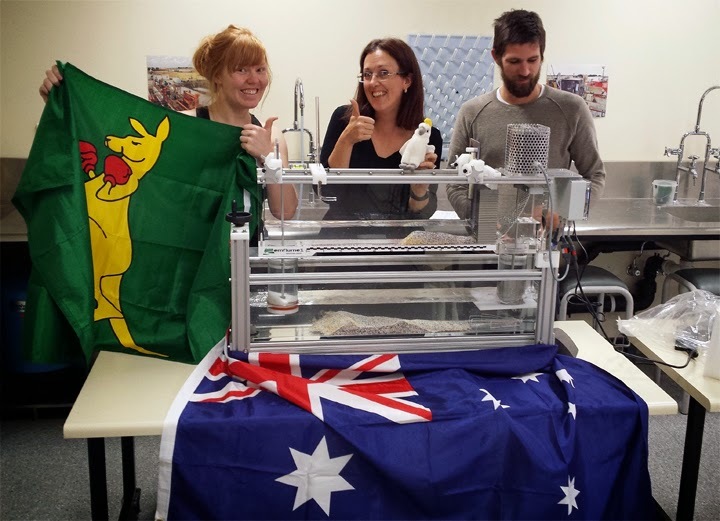 After six years of development, the Emflume1 is now on three continents, and we seem to be busier than ever. 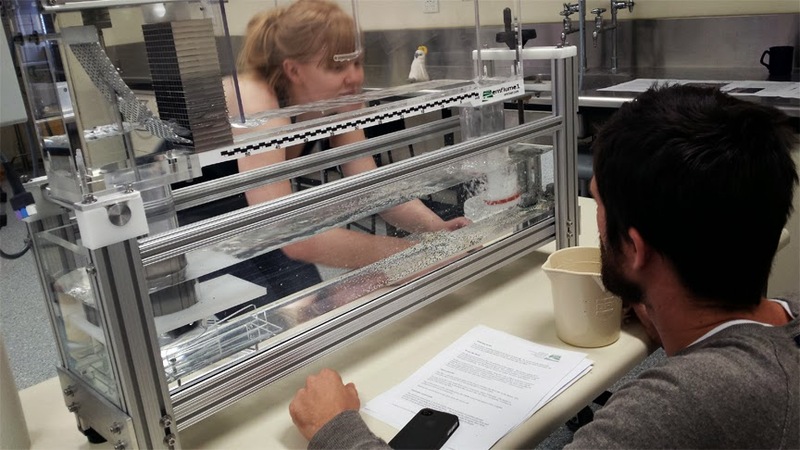 Back in May, Emflume1 users at the University of Adelaide Australian School of Petroleum sent us several photos, and we've shared a few here. Geologist and Ph.D. Candidate Jess Trainor, Lecturer in Sedimentology Kathryn Amos, and Geologist and Ph.D. Candidate John Counts pose for a photo with their new Emflume1. Jess studies the Emriver Color-Coded-by-Size Modeling Media in the Emflume1. Jess and John experiment with the Emflume1. Steve, Jim and I took two Emflume1s, two Em3s and one Em2 to the American Society for Engineering Education annual conference that was held in Indianapolis in June. 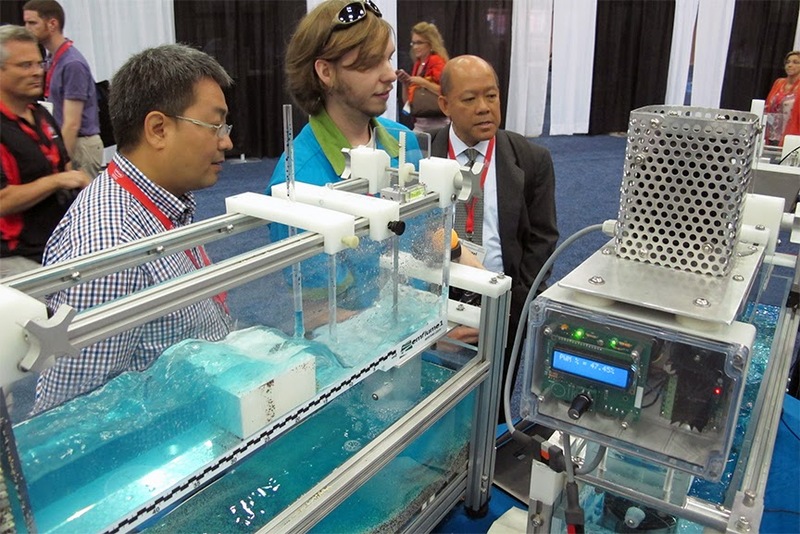 It was the first time Jim and I attended an ASEE conference, and it was definitely an enjoyable experience. We got to talk with some of our model users and curious LRRD newcomers as well. Jim stands ready for thousands of visitors. Jim demonstrates how the Emflume1 works. 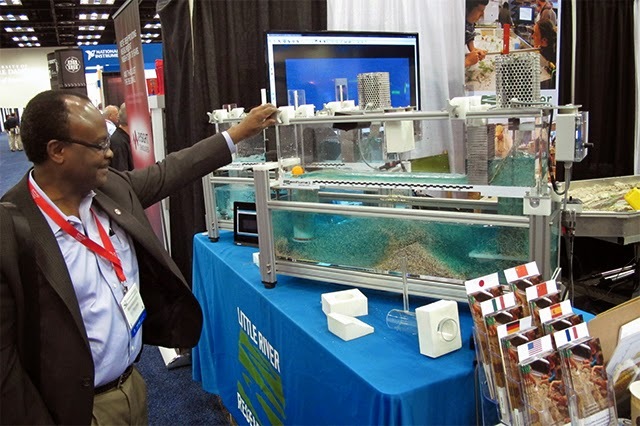 A visitor experiments with an Emflume1. 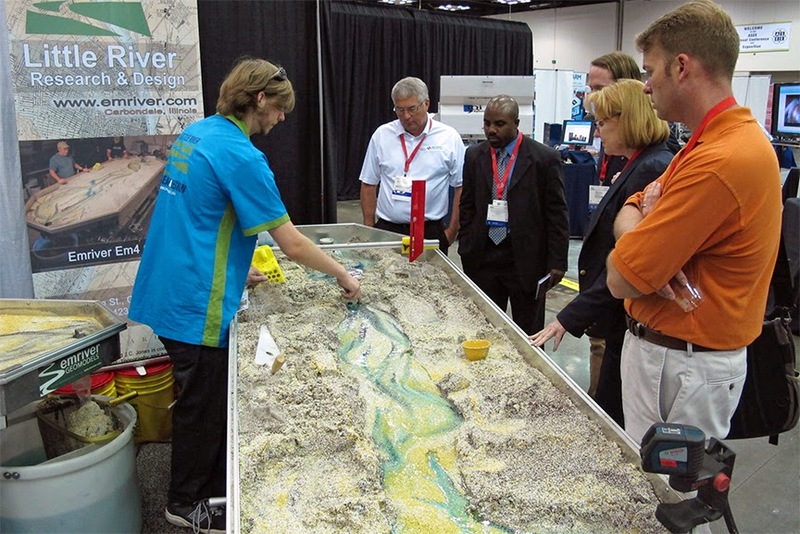 Jim explains the impact of a human-built structure to the river channel in the Em3. Anna talks with a visitor about the Em2. Jim describes the erosion occurring in the Em2. 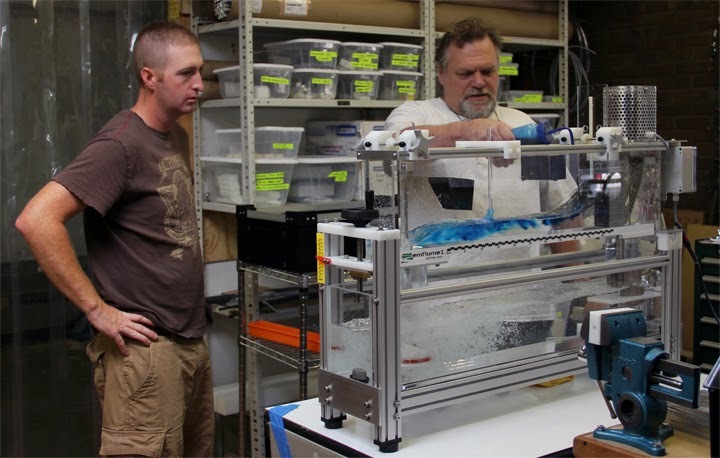 Later in June, Researcher II, Facilities Manager Andy Coursey with Southern Illinois University in Carbondale visited LRRD and picked up SIU's Emflume1. Andy and Steve discuss the functions of the Emfllume1. 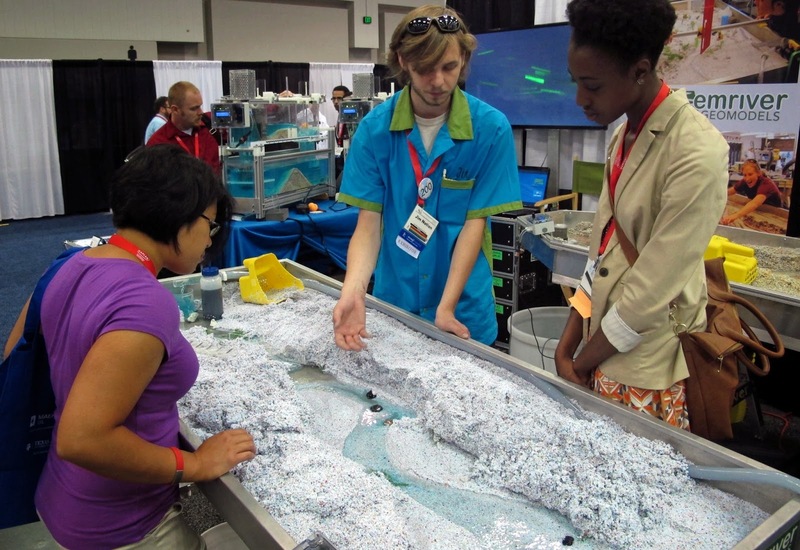 It's been a great season for water education, and I'm looking forward to shipping more models and the excitement continuing through the fall season! 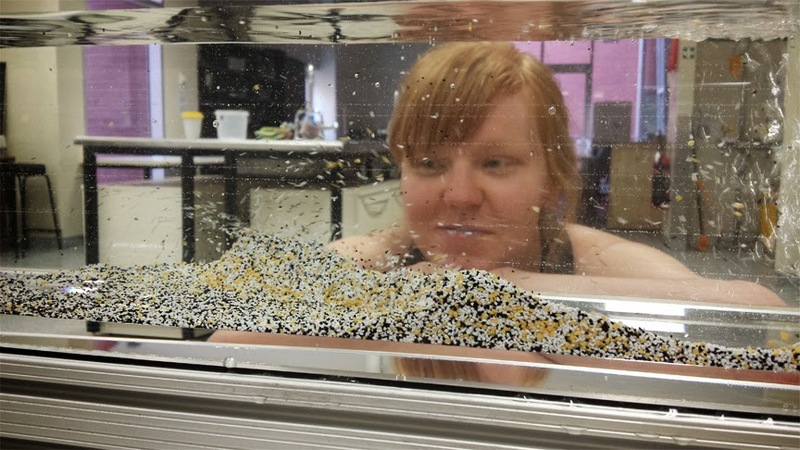 Anna experiments with an Emflume1.